Coahuila is the third largest state in Mexico by land area. Its northern border, 318 miles long, is with the United States. To the east Coahuila borders Nuevo León, and to the west Durango and Chihuahua, with its southern border touching both Zacatecas and San Luis Potosí. The state only has a population of about three million – a pittance in a country of 127 million – yet it made a name for itself during the governorship of Humberto Moreira (1 December 2005 – 4 January 2011), who is allegedly one Mexico’s more impressive kelptocrats. Moreira, who belongs to the Institutional Revolutionary Party (PRI), used his power of decree to run up the state debt from a mere US $27 million to an astounding $2.8 billion. Much of this money was allegedly used to rig elections – including the 2012 election campaign for PRI president Enrique Peña Nieto – or ended up in bank accounts controlled by the governor, his family, and his friends and political allies. Moreira is also accused of having had close ties with the ultraviolent Los Zetas cartel, which comes with a price. On 3 October 2012, Moreira’s eldest son, 26 year old José Eduardo, was murdered. 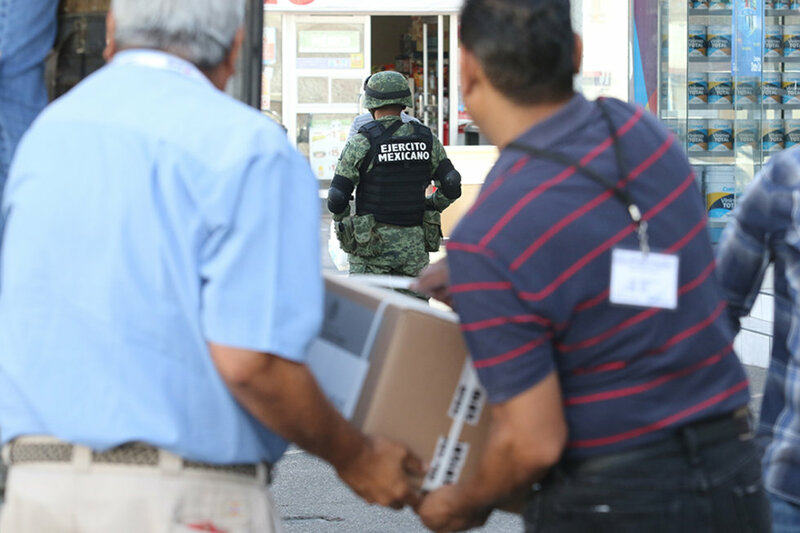 Officials believe that Los Zetas killed José Eduardo in retaliation against Moreira for not giving them their fair share from a money laundering operation. Such horrors didn’t stop Moreira from pillaging the state coffers. After having cratered Coahuila’s credit rating from A+ to BBB-, Moreira presumably thought he could retire with his personal fortune under the full cover of the ruling PRI, travelling the world and spending his ill-gotten gains. But the United States’ government caught wind of Moreira’s crimes, and put out an international warrant for money laundering. On January 15, 2016, Humberto Moreira was arrested at the Barajas Airport in Spain, and charged with money laundering and embezzlement. He is now out on restricted bail. To date, investigators in the United States have found more than 60 million dollars allegedly hidden by Moreira in tax havens in the Cayman Islands and Monaco. Why is this relevant to the 2018 presidential election? Because, as in other states with PRI governors that have been plunged into corruption and violence during Peña Nieto’s six-year term, the electorate fear putting the PRI back in power. But stopping the PRI in Coahuila isn’t easy. The present PRI governor of Coahuila, Rubén Moreira Valdez, is not only a major party operator, he is also the brother of the disgraced former governor. This reflects the depth and sophistication of the PRI’s corrupt operations at the state level. If properly counted, ballots for the July 1 federal election would surely indicate that the PRI’s José Antonio Meade, running as part of the “Todos por México” (All for Mexico) coalition with the Green Party (PVEM) and New Alliance (PANAL) party, would perform poorly. Ricardo Anaya for the PAN-PRD coalition might have decent support, given that two of the three senators from Coahuila are with the PAN (the third is PRI). (It is important to note that on July 1 voters will not only be voting for president – they will also be casting their ballots for the three senate seats, and for seven federal deputies). The man leading in the polls, Manuel López Obrador (known as AMLO), may also do well if he can pull votes off the PRI. AMLO is running as the head of the National Regeneration Movement (MORENA) as part of a larger coalition called Juntos Haremos Historia (Together We Make History). Part of the challenge will be to see if the elections can be run cleanly. 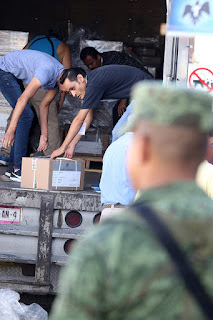 The level of distrust toward officials in Coahuila is such that a grand display was made on June 12 by the National Electoral Institute (INE), which pushed a story showing how the Mexican Army was in charge of the secure delivery of ballots in Coahuila. If nothing else, this will provide INE with some cover, given that PRI activists will almost certainly try and fix the vote. To date, complaints have already come in involving vote-buying with blankets and food, as well as voter suppression via misinformation. As is true in most of Mexico, safety is also an issue. On Friday, June 8, a Coahuila candidate for federal Congress was killed in Piedras Negras. Fernando Purón Johnston, a member of the PRI, was shot at point blank range by a gunman outside an auditorium after participating in a political forum. No motive is known, but it is believed that organized crime was behind the murder. To date, according to officials, five other political candidates in Coahuila have reported receiving death threats. This situation in Coahuila is difficult for journalists, as well. 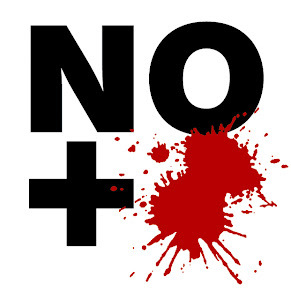 In the 20th century – before the start of the drug war in December, 2006 – a total of four journalists were killed in Coahuila. However, in the past ten years alone 11 journalists have been murdered. As is the case in other states were journalists are at risk, such as Guerrero, Chihuahua, and Veracruz, the pressure on a free press severely limits accountability, and allows for the impunity and lack of transparency that has hobbled Mexico for decades.